I grabbed The Dry by Jane Harper on a whim, having seen that beautiful jacket and read half a line of the synopsis. I think I’d clicked BUY NOW before I’d even realised I’d done so. I’m a huge sucker for atmospherics, mysteries, fascinating locations and dark backstories. So me and The Dry hit it off immediately. What I didn’t know however, was that the book has been lauded internationally for some time – I actually only found out that it was very popular indeed when I was in my local Waterstones and there were stacks of them all over the place. And immediately on opening the book, I could see what the fuss was about. It was enthralling from the very first line, demanding to be read further. It is an expert example of the sort of thriller I love. The town of Kiewarra is as much a character as any human in the book, and I’ve never read something that is so wide open, so barren, so vast and subject to the elements, yet feels so darn claustrophobic. It’s somehow a choking void, a massive suffocating vacuum. It is a marvellous feat, and this atmosphere infuses the tragic, serpentine tale of what really happened to the Hadler family with such wrought tension and urgency that it was genuinely hard not to read it in a single, equally urgent, sitting. Hugely recommended, and delighted to hear there’s a follow-up incoming! 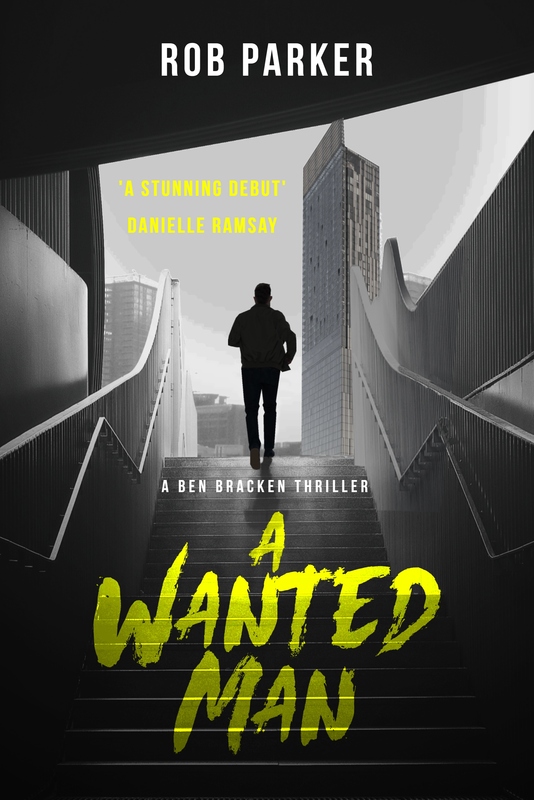 A Wanted Man – FREE TODAY! ‘A Wanted Man’, is FREE today! To grab your copy, head on over to Amazon – thanks always for your support! Nice recent family sunshine holiday enhanced by enjoying a favourite author’s standalone work. The thing with CJ Box is that he’s so reliable that I don’t even see it as expenditure when I order his books – I know it’s going to be what I’m after. It’s a happiness investment. This was a cracker, with a plot/characters that could be from next year’s biggest movie blockbuster. Read this great novel, My Sister’s Grave by Robert Dugoni, and really enjoyed it. I grabbed it after seeing an advert for Dugoni’s latest, and wanted to go back to the start of the series – yep, I’m one of those. Can’t just dive in at any point, have to go right back to the start and see things through as the author intended. So, this is the first book in Dugoni’s Tracy Crosswhite series, and it will certainly not be the last Crosswhite adventure I read – principally because of the grand ethical question posed to the reader as the book reaches its exciting climax. Without further ado… SPOILERS. Big ones. Don’t read on, if you don’t want to know! Crosswhite is a Seattle police detective whose sister was kidnapped and murdered 20 years ago, and the whole case comes back to the surface when her sister’s body is finally found and things don’t quite add up. There is a man in jail for the murder, Edmund House, serving life, thanks to a guilty verdict based on circumstantial evidence and a rather inconsistent legal case. Crosswhite doesn’t think he did it, thinks he was framed as part of a wider conspiracy, and enlists the help of an old friend, now criminal defence lawyer, to start in motion the wheels for a retrial. As the story progresses, the original conviction is unravelled, and it becomes obvious that a conspiracy was the reason House ended up behind bars, the local law enforcement and the victim’s father joining forces to put House away for good. We as readers are so set up throughout to question exactly the motives of the conspirators, and get us questioning who may really have killed her and why. The motion for a retrial is so successful that House is immediately freed, the Judge appalled at the miscarriage of justice. Then things start to go wrong. The original conspirators are attacked, and Crosswhite is kidnapped. Edmund House is revealed to have been behind it all along, and Crosswhite has inadvertently fought for the freedom of her sister’s killer. And here’s the question, and where the tables are turned. The conspirators reveal that they did frame House for the murder. House confessed to the crimes off the record, but it couldn’t be used in trial because of issues with admissibility. So to make sure that it couldn’t happen to anyone else, that the town could move on again after such a heinous crime had been perpetrated in its midst, the authorities made sure House was convicted. By the time House was on the run again at the end of the book, and the truth had all come out, my own feelings towards the conspirators had gone 180 degrees, and now a couple of days after finishing it, they might have moved again to rest somewhere in the middle. Truth is, I haven’t a clue where I stand. Do you go by the book, knowing you did the right thing but also knowing that you can’t stop further bad things from happening? Or do you break the rules, live with the risks, and know that you ignored the traditional boundaries of right and wrong to make sure that overall good is the result? I can’t possibly say that the police did the right thing… but I can’t also say for sure they did the wrong thing. And that’s what I love about books like this in particular – books that challenge the reader, and make them confront difficult feelings of their own, make us make difficult choices and make us think about what would be deemed as ‘right’ in the most tragic and disastrous of circumstances. What is the cost of justice? What is the cost of doing the right thing? It certainly made for a compelling read, and left me asking myself questions long into the night – and in that sense I could only recommend the book very highly. Haven’t a clue where Crosswhite goes from here, but itching to find out. That rarest beast: a villain that is somehow evil AND sympathetic? I’ve waxed lyrical on here before about my love of Ace Atkins’ Quinn Colson books, and am working my way steadily through the stories. Each one seems better than the last, which is quite some feat, but there is no doubt this is crime writing of the highest order, with a cast of characters that I now find utterly indispensable. However, while reading The Broken Places, the third in the Quinn Colson series, Atkins managed to do something rare, unexpected and, I would imagine, damn difficult – and that is to create a villain who is so awful yet so pitiable, that you can’t help feeling sorry for him. There be spoilers ahead, so fair warning…. The book opens with two convicts (Esau and Bones) escaping prison, and heading off for Jericho – the town where our hero, Quinn Colson, is the sheriff. They’ve got business with Dixon, a convict turned preacher, who just so happens to be seeing Quinn’s sister Caddy. In basic terms, Esau and Bones pulled off a bank heist, and told Dixon where the money is hidden while inside. They head off to get their money, but believe Dixon has screwed them and taken the money for himself. So far, so very good indeed. Esau is a foul, fascinating creation: a stinking, nihilistic hulk who shoots people in cold blood for next to no reason. He’s a user, a man of extreme violence, a thief and a bully… BUT… his character is multi-layered in the darkest of ways. I can’t recall him doing a single ‘nice‘/redemptive thing in the entire book, but I still couldn’t help feeling sorry for him in a way at the end. He has principles, that in his warped mind he thinks are enough to live by. He’ll kidnap a woman and child, hold them at gunpoint, but apologise for it. He still does the foul deed, but he doesn’t necessarily have to feel good about it. He repeatedly accuses his ‘woman’ Becky of cheating on him and trying to screw him out of the money too, but soon apologises and shows genuine affection for her. He looked after Dixon in jail, because he was being worked to death in the fields at the penitentiary, and Dixon got him a job in the cafeteria, thereby saving him. He worked with Dixon in prison while he started to preach, and began to feel close to God himself – all the while planning to bust out to get his money back. He beats Dixon to a pulp when he thinks he’s holding out on him, even shoots him in the leg, but stops short of killing him, aware of how much Dixon helped him in jail. He is a myriad of the nastiest contradictions, a man who exists solely on his own jet black terms. He navigates life according to a moral compass that only has the tiniest sliver of morality to it. As a villainous creation he is one of my utter favourites, in that he was wildly unpredictable, yet somehow relatable, on the most base levels possible. This is no mean feat, and my favourite part about the book. A villain like this, who has conflict, is so much more interesting than a one dimensional ‘baddie‘, and it’s the little things like this that elevate books and crime writers to other levels entirely – not to mention inspiring other writers to try to bring something new to the table, and to challenge themselves and their readers. It has certainly done that to me. Every now and then a thirst for a scary story rears its ugly head, and I take a break from my usual crime novel inhaling to satisfy it. The last two I’ve read have both been so good, yet so markedly different, in the way that the authors have decided to set up their fictional world, and deliver the hauntings themselves. Sometimes when I read ghost stories etc, I feel a little deflated that the same old tropes have been fallen upon again, and rarely am I surprised. Both of these books elevated way beyond this, were original, fresh, beautifully written and very unsettling, and were the best two ghost stories I’ve read in quite some time. Dark Matter is set in the 1930s and the period vibe provides an authentic, antiquated setup to proceedings. It’s a very real world, muddling along in between World Wars, the class divides as pointed as they have ever been, before the action moves from London to Norway, up in the arctic circle, where the light is fading fast and months of darkness approach. The haunting itself is gradual, teased, suggested, and ultimately beautifully told by Michelle Paver. This is the story of a man so gripped by the desire to prove himself to his peers that he’d rather encounter the worst in order to do so, and before long, the worst indeed comes to find him. The spirit or force is a wonderful creation, and the story behind it genuinely affecting. The descriptions of the apparition itself are a wonderful mix of vivid and suggestive, leaving the reader to fill in the blanks around a few very unsettling details. Between a genuinely interesting force of evil, and a unique setting and time period that creates its own set of problems and parameters for our protagonist to overcome. The overall impression I was left with was of an expert, economical, unique ghost story that was unlike anything I’ve come across, told with a near hypnotic control of the reader. I couldn’t look away, nor did I want to. Superb. On the other hand Hex, by Thomas Olde Heuvelt, takes a tried and tested formula (or at least the formula that worked so well for The Blair Witch Project) and throws the reader a monumental curve ball. Yes, the ghost witch exists. Yes, the protagonists know. Yes, the town of Black Spring is haunted.But they all have to get on with their lives somehow, and eke out a modern existence in a small town with a giant haunting secret. The witch could show up at any time, ruining your dinner. If the witch appears in an inconvenient spot, just put a sheet over her and go about your business. It’s a setup that I’ve not come across – one where the characters are almost jaded/bored by being haunted. This isn’t the world of ‘is there anything out there?’ – it’s more the world of ‘we know there is something out there but we just have to carry on’. As a story set in the modern era, Heuvelt brings a laterally thought approach to how an acknowledged legitimate haunting might work, if people had to accept it and carry on with their lives. It’s the secret of the town and it always has been. If the rest of the world were to find out, all hell would break loose. But the town needs trade – it needs visitors and commerce in the area, and that involves outsiders. So the council of Black Spring have created a thoroughly believable smartphone app, managed by an in-town security setup, that lets residents log witch sightings/behaviour so that the town can plan their lives appropriately. It’s nothing short of genius, and exactly what you can picture happening if this were to actually happen in the real world. In that sense, it’s wonderful to see the story play out in such a well-thought out setting, because everything from there feels real and believable – something not always achieved in ghost stories. The motivations of the witch, and the behaviour of the witch, is as unsettling as anything I’ve ever read I think, yet Heuvelt still manages to make her a sympathetic figure. In doing so, he creates a fable about acceptance, social responsibility, love and bullying. It was another storming read, one which I couldn’t recommend high enough. So you’ve got Dark Matter which takes a more traditional approach of creating a normal world that has elements of the supernatural invading it, then Hex which takes an all new (at least that I’ve come across) approach by having the supernatural elements very much a part of the world we live in (while it being delivered not remotely like a fantasy novel). Both were enthralling, both hugely believable on their own terms (with the help of a little imagination) and both just what I wanted when it came to scratching that ghost story itch. Recommend them both highly, and would love to hear about more fresh ghost story novels out there.